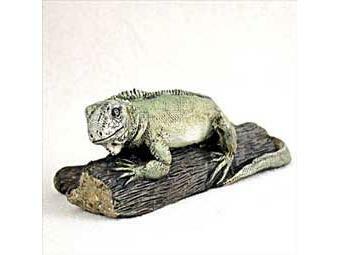 Iguana Rainforest Figurine measures approx. 2" tall. Our collection of hand-painted stone resin animal figurines is the next best thing to a safari or a visit to a wildlife park! From wild to domestic, the Amazon to the Zoo, these are simply some of the most intricately detailed animal figurines available! All Animal Figurines are individually boxed.